Burn MKV to Blu-ray disc/DVD with free menu templates and other customization features. Edit MKV videos before burning with cropping, trimming, rotating, watermarks, etc. Support 1,000+ video formats for conversion including MP4/AVI/MOV/MPEG/FLV and others. How to Convert MKV to Blu-ray Disc for Playback on Big TVs? "I have some MKV files that are around 24 GB each and I'm looking for software that I can use to make a Blu-ray disc from them that can be played on a standard Blu-ray player. The MKV contains 2 audio tracks and many subtitles and I would like to convert MKV to Blu-ray with menus for subs etc. and background music." If you also have similar issues, you are just at the right place to get a solution to your queries. MKV is an HD video container format that can play on a number of devices. To play these videos on your big size TV screen using a Blu-ray player, you would be disappointed majority of the times as MKV format is not compatible with these players. There are only a few types of Blu-ray players that may allow you to decode MKV files but with specific codecs. Thus, the best way here is to convert MKV to Blu-ray and enjoy seamless playback. Several most popular and common solutions are provided here. For your Windows 10 and other OS versions, Wondershare UniConverter (originally Wondershare Video Converter Ultimate) process to be the best MKV to Blu-ray converter. The software with its powerful features allows burning your videos in high-quality discs with all its elements. Besides MKV, you can convert popular video formats like MP4, MOV, MPG, VOB, and others to Blu-ray discs and DVD. To make your disc look professional, there are a number of DVD template menus to choose from, and add background music or a picture if needed. Fast disc burning speed, real-time preview, and intuitive interface are the added features. Convert MKV to Blu-ray disc or DVD supported formats and play on any playable devices. Burn MKV videos to Blu-ray disc with free menu templates, super fast burning speed, and high-quality output. Customize videos with Crop/Trim/Rotate/Watermarks/Effects and other features before burning to Blu-ray. Support video conversion among 1,000+ video formats including MK4/MOV/AVI/MPEG/4K video/HD video and others. On your PC, download, install, and launch Wondershare UniConverter (originally Wondershare Video Converter Ultimate) software on your PC/Mac. Select the Burn tab from the primary interface and click on +Add Files button to load MKV files from your computer. You can add multiple files here. After the files are added, move the right and the left arrows to switch between the available template designs. 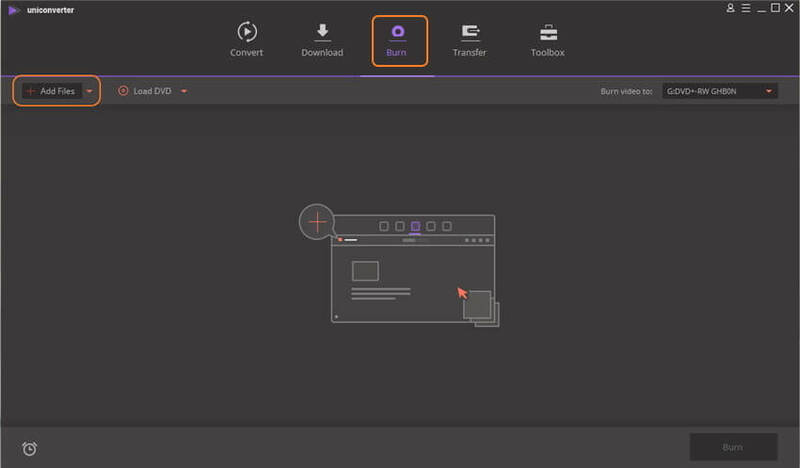 Click on the edit icon in the top right corner to open a DVD Template window from where you can add background music or a picture. Give a name to your Blu-ray disc at DVD Label, then choose Menu Type, Aspect Ratio, TV Standard, and Quality from their respective drop-down menu list. Insert a blank Blu-ray disc into your Windows 10 computer and then choose the target folder at Burn video to: option in the top-right corner. At the bottom, select the Blu-ray disc type and finally click on Burn button to start the process of converting your MKV files to Blu-ray disc. ImgBurn is good software for users who are looking for a free solution to burn MKV files to Blu-ray. 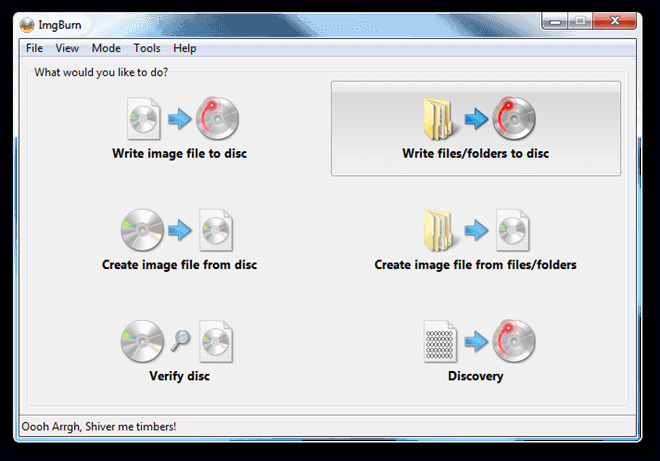 This lightweight program allows burning an array of music, image, and video formats to Blu-ray, DVD, CD, and HD DVD discs. The software comes packed with an array of additional features like support to all latest drives, image queue system, automatic write speed, and support for Unicode folder and file names. ImgBurn is compatible with all popular Windows OS versions including Windows 10, and can also run on Linux systems having Wine. Step 1: Download, install and launch ImgBurn mkv to Blu-ray converter on your PC. From the primary window, choose the option to Write files/folders to disc. Step 2: Hit the add folder icon to add the root folder having other disc folders. The added folder will appear in the Source area. Click the icon of Calculator to move ahead with the process. 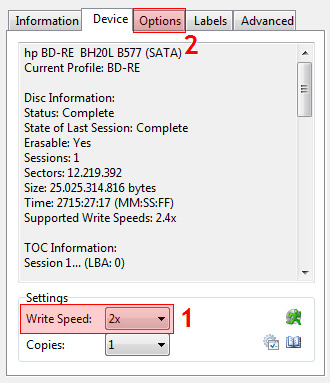 Step 3: Next, choose the Device tab and select the Write speed. Click on Options tab to continue. 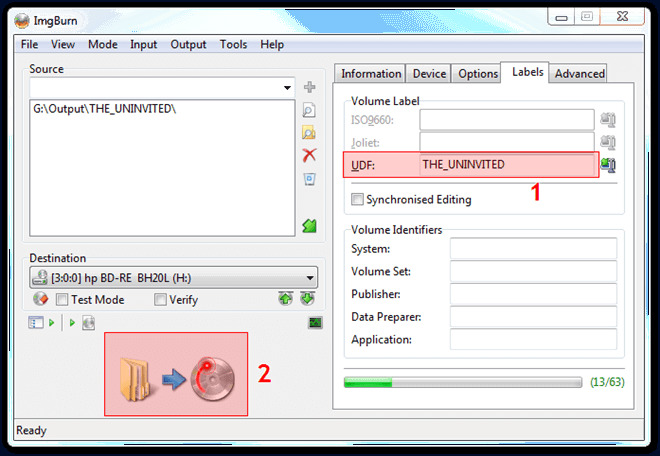 Step 4: Here choose the File System as UDF and click on Labels tab to move ahead. Step 5: Choose the Volume label of the Blu-ray disc. Click on the Burn button to start the process of MKV to Blu-ray disc conversion. A pop-up will appear to check the Content-Type. Click OK to confirm. 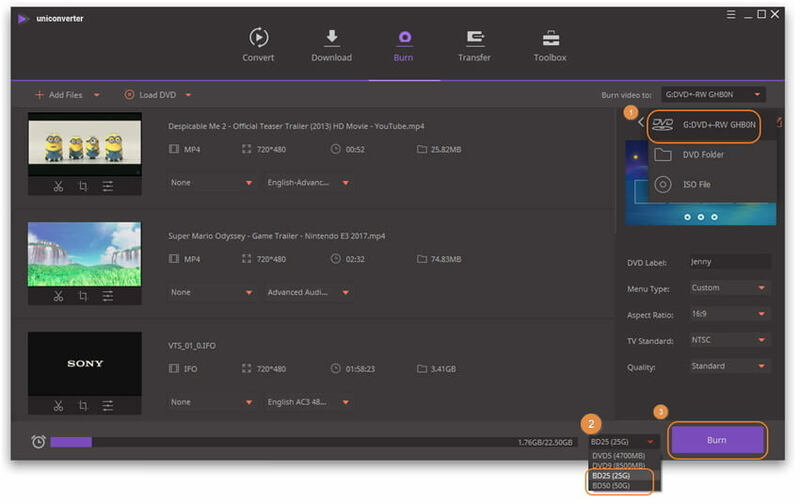 For Mac users, tsMuxer is a simple utility that allows muxing of MKV files so that they can be easily recognized by a Blu-ray player. This is a Transport Stream muxer and process using the program does not hamper the video quality of your MKV files. There is an option to manually or automatically set the fps muxing. 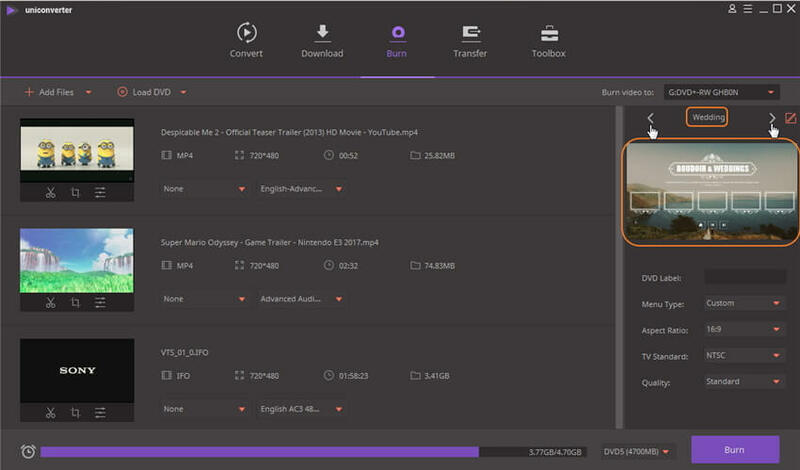 Additional features include an option to join files, shift soundtracks, change the levels for H.264 streams, and others. Step 1: Open tsMuxer on your PC and hit the add button on the interface. Browse and choose the MKV files that you want to convert to a disc. Step 2: Under the Output option, select Blu-ray folder or Blu-ray ISO option depending on the app you are using. Next, click the Browse button to choose the location to save the Blu-ray files. Ensure that the location has enough free space for storing all the videos added. Step 3: Click on Start muxing button that will start to convert your MKV files into a folder that can be then burned to a disc using an app.